Edgar James Hall was born on 6 Nov 18891 to John Hawkins and Lillie May Coghill.2 His parents met in St. Louis where his mother was living. Lillie meets James Truett Hall probably in St. Louis. James T had been living in Old Mexico although he was born and reared in Quincy, Adams, Illinois. He was born about 1867-1868.11 It is not known of the circumstances of their meeting, although James T had an uncle, Aaron Hall,12 and several brothers living in St. Louis and St. Joseph, Missouri at the time.12 Lilly and James T. were married 18 January 1899.13 Mention of the marriage was in the Quincy Daily Journal when James T's sister, Edith, who was about 3 years younger than James, planned to attend.14 They were married by Rev. Daniel M. Fish, K.D, pastor of Compton Hill Congregational Church. TO BE MARRIED IN ST. LOUIS. Miss Edith Hall, of North Sixth street, left this morning for St. Louis, where tomorrow night at 8'o'clock at the residence of Mrs. L. Scott will occur the marriage of the latter's sister, Mrs. L. M. Hawkins, to Mr. James T. Hall, of Old Mexico. 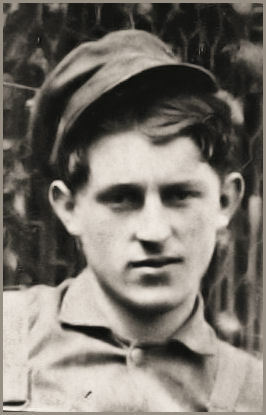 Mr. Leslie Hall, of St. Joseph, Missouri, until recently of this city, will also attend the wedding of his brother. The friends of Mr. Hall extend congratulations and best wishes for his future happiness." LEW HALL WILL REMAIN IN Quincy. He Has Accepted a Position With the Quincy Engine Company Lew Hall, who returned from Mexico a short time ago, has decided to remain in Quincy, and has accepted a positon with the Quincy Engine company. Mr. Hall is a machinist, and, as stated in the Whig the other day, was master mechanic of the Montazuma ming company at Nacazara, Mexico. He was drawing a big alary, but did not like the country. 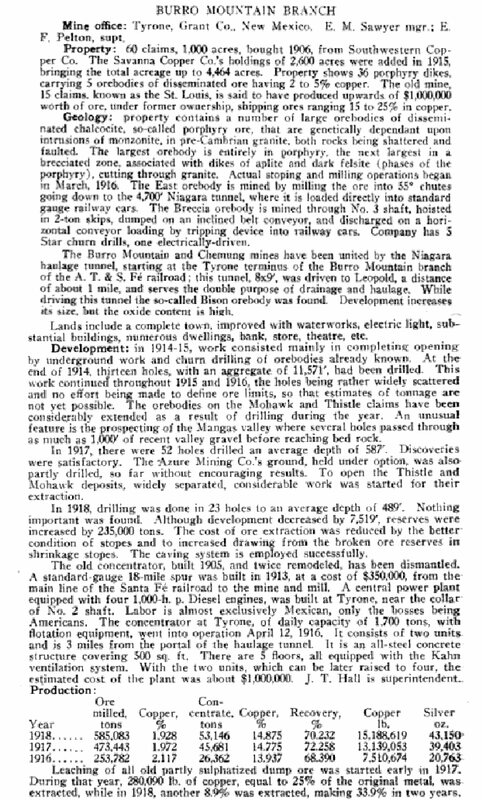 His brother, James Hall, is superintendent of the mines, and draws a salary 'way up in the thousands'. 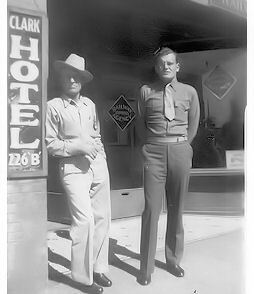 Lew Hall says a man might as well be buried allive as stay down in those mining camps, and adds that there is no town like Quincy, after all." The relationship between Edgar and James T must have been very good. James T treated Edgar as his own son. On 19 August 1910 James T adopts Edgar.20 Edgar is much older than expected for an adoption to take place. The family story says it was for business reasons since James T. had no living children for an heir. "It is thereupon by the Court ordered, adjudged and decreed that the said Edgar James Hawkins be and is hereby lawfully adopted by the said James T. Hall as the son and heir of the said James T. Hall and Lillie M. Hall, his wife, as though he were in fact the son and heir of the said James T. Hall and Lillie M. Hall, his wife; that the said child is now and henceforth take the name of Edgar James Hall and to be known by said name, and that he be, and he is hereby authorized and empowered to use as his own name the name of Edgar James Hall, and from this date and at all the times hereafter to be regarded and treated in all respects as the child and heir of the said James T. Hall and Lillie M. Hall." By 1920 James T bought 3 farms each 320 acres in the Rio Grande Valley between Las Cruses, New Mexico and El Paso, Texas. One of the farms was in Vinton, Texas. He also bought another place across highway from the new home and started a dairy.21 Edgar came to this area in Anthony, New Mexico to take care of one of the farms and start it into production. This is when he met Bessie May Lipps. 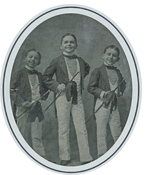 They had three boys, James Oscar named for his grandfather and born on 16 Mar 1913, William Crane born 22 Apr 1917 and Edgar James II called Ginger born 16 Oct 1920. "Mrs. Lydia Hall and family, of 1515 North Fifth street, enjoyed a brief visit his week rom her grandson, Edgar Hall who owns large ranch near Columbus, New Mexico. Mr. Hall gave a very interesting account of the recent raid at Columbus by Villa and his followers. On account of the dangerous conditions there, Mr Hall has sent his wife and baby away, but he will remain on his ranch. He came North to buy cattle. He is a son of James T. Hall, who formerly lived here, and is exgtensively engaged in the ranch business, and also has large mining interest." Edgar, Bessie and Jim may have been living Mexico in 1916.. Edgar did work in the mine in Santa Barbara, Chihuahua with his father. Edgar probably took his little family back to the homes in the Rio Grande Valley, most likely Vinton. they got to the town in Chihuahua, Poncho Villa was raiding the town and trying to take it over. The Federalist had the town prior to this. Poncho Villa captured the car with Edgar and the men in it. Edgar had just gotten out of the army and had his army hat and army shirt on. Poncho Villa was going to shoot them for being spies but Edgar who spoke fluent Spanish talked to Poncho Villa and told them what they were doing. Poncho Villa then turned them all lose. He saved their lives. While they were driving on the outskirts of Chihuahua there were dead people on both sides of the highway who had been in the battle with Poncho Villa. You will probably get a letter from the General Hospital here in L.A. for information so I wanted to put you wise if they should write you. I stayed a week in these springs and did not help me a bit so these folks that I came over with came down and got me a permit to have treatment or anything that needs to be done in the L.A. County Hospital. The Dr examined me and finds a lot of things wrong so I'm going in the 11th. I don't know if they will operate or not. I surely hope they will soon fix me some up, as I'm in misery, can't hardly walk and ache all the time. Take asprin but they don't help much. I had to lie like the dickens. Told them I lived here with these folks, didn't know where Edgar was, hadn't seen him for 4 or 5 years and that you were taking care of the boys. You see you have to be a resident of Calif for 5 years or they won't take you. So if they write just write them that I'm here in L.A. with relatives and you support the boys and don't know where Edgar is. How are Bill and Ginger. They might write. Will quit, will write later. Don't tell any body down there that I'm in a county hospital." 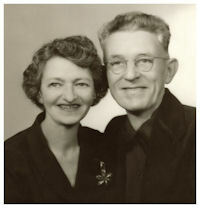 Edgar met and married Erna Fruenenber Calisch Jordan on 9 October 1935.35 She had been working in an El Paso hotel. Some interesting facts about Erna. She was called Bobbie. She was born 8 September 1901 in New Mexico. Erna was raised in El Paso after the age age 14 when she was orphaned. She married a family member from Montoya NM, Stanley Calisch, in 1918, in El Paso. But by 1930, the couple separated and Stanley's parents were raising their two children. Erna was exiled from the family.36 She then married William Jordan on 28 December 1931 and they divorced. 1:Birth: Edgar James Hawkins; State of Missouri, City of St. Louis Department of Health and Hospitals; Certificate #10178. 3:Directory: Gould's St Louis Directory of residents and classified business directory for years 1881-1883. 4:British Census 1881: RG11/2208; Folio 29; Page 52; FHL Film 1341532. 5:World's Columbian Exposition of 1893 and the St. Louis Exposition of 1904 were after the death of John Hawkins who died in 1892. 6:Death: Certified Copy of Death Certificate of John Hawkins, City of St. Louis, Bureau of Vital Statistics, Application #081401036; Certificate #5756, No of Certificate 5731. 7:Directory: Gould's St Louis Directory of residents and classified business directory for 1893-1897. 9:US Federal Census: 1880 Saint Louis, Saint Louis, Missouri; Roll T9_719; Family History Film: 1254719; Page: 308.1000; Enumeration District: 54; Image: 0616. 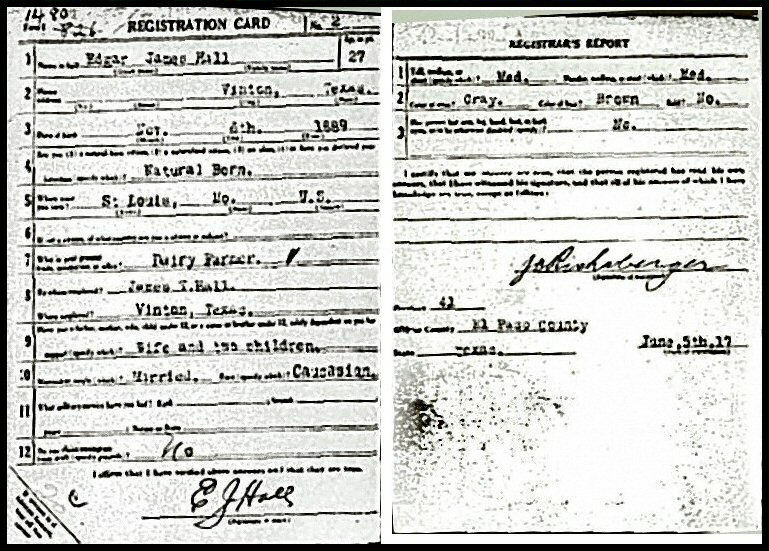 11:Birth: Death Certificate of James T. Hall, Texas Bureau of Vital Statistics; Reg #32532; Form D.
13:Marriage: Copy of Certificate given by William C. Hall family. 15:Death: Evergreen Cemeteries and Mausoleum, 4301 Alameda Ave., El Paso, Texas; Section P, Lot 87; grave #1. 19:Newspaper: The Quincy Daily Whig: "Lew Hall Will Remain in Quincy;" Date: December 7, 1901: Page 5. 20:Adoption: Probate Court of Grant County, Silver City, Territory of New Mexico; Judge C. Bennett; #185; In the Matter of the Adoption of Edgar James Hawkins, Book 6; pages 520-523; August 30, 1910. 21:Us Federal Census 1920: Justice Precinct 6, El Paso, Texas; Roll T625_1799; Page: 17A; Enumeration District: 98; Image: 1096. 27:US Federal Census 1920: Justice Precinct 6, El Paso, Texas; Roll T625_1799; Page: 17A; Enumeration District: 98; Image: 1096. 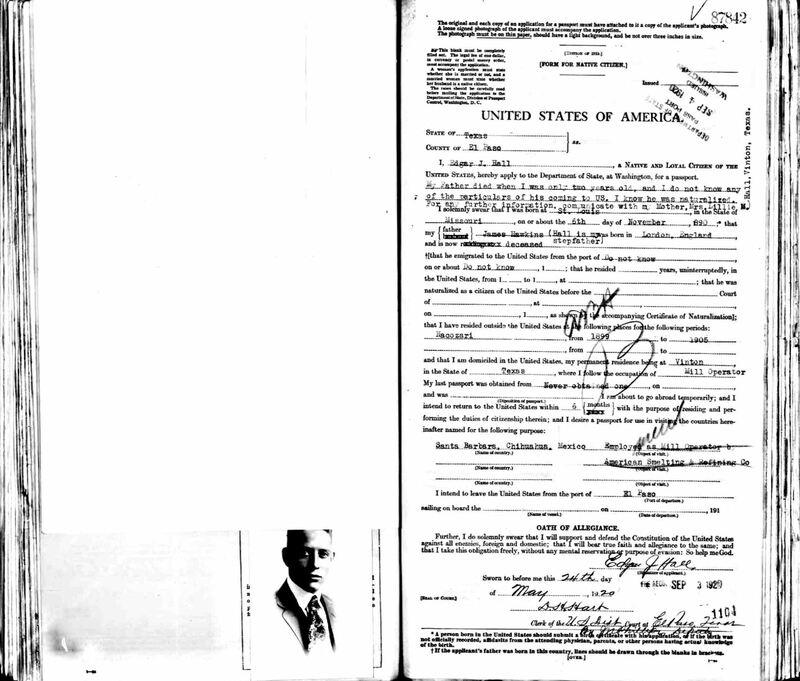 28:Death: James T. Hall, Texas Bureau of Vital Statistics; Reg #32532; Form D.
29:US Federal Census: 1880 Saint Louis, Saint Louis, Missouri; Roll T9_719; Family History Film: 1254719; Page: 308.1000; Enumeration District: 54; Image: 0616. 30:US Federal Census: 1930 Ajo, Pima, Arizona; Roll 61; Page: 3A; Enumeration District: 69; Image: 45.0. 35:Marriage: Edgar J. Hall & Erna Jordan; Marriage Book No. 24; Page 1452. 36:E-Mail: May 6, 2009; Sharon Fried (Researching line connected to Freudenberg. 37:Personal Information from AnnaLee Hall who stayed at the hotel in 1940's. 38:Death: Edgar James Hall; California Death Index, 1940-1997; SS No. 527143234.